Everyone likes to buy new, unused equipment. Given a choice to buy a new equipment or a used one, most of the people would opt for the new one. Yes, there are advantages of new equipment, but very few know the benefits of buying a used motor. It is not only the cost, but there are so many different types of used motors available on the market that sometimes, there is not real need to buy a new one. How exactly is buying used motor beneficial than purchasing a new one? This post answers this question. There are a number of advantages of buying used motors. Here are some of the major benefits that explain why used motors are more preferable than the new ones. Lower Cost: Used motors cost less than the new ones. If you buy a new motor, it eats up your money, which you could have spent on other important areas. In the cost of one new motor, you could purchase two or more used motors. Thus, buying a used motor not only helps you to lower your investment, but also helps to maintain your budget. Used Equipment Holds Its Value: One of the best things about a used motor is that it holds its value even when it is depreciated. It goes without saying that for this you need to maintain the motor properly. You can sell the used equipment in a market where there is a good demand for the equipment. If the motor is maintained well, you can get a good price, and even get close to your quoted price, at the time of selling the equipment. For this to happen, you need to maintain a document of maintenance. This would help the buyers to see the maintenance history of the equipment. More Flexibility: When you buy a used motor, you are actually buying more flexibility for your business. Suppose you require a motor to operate a machine just for a short term, then a used motor can be acquired in a short time. Once you are done with the job, you can easily sell the motor. This involves very less depreciation. On the contrary, if you opt for buying a new motor, you not only have to wait for long, but also there is a considerable depreciation in its value at the time of selling it. More Choice: As compared to the new equipment, the global market of used equipment is much larger. The larger market size means you have more choice of used equipment than the new ones. Isn’t that a good news? You can choose from a wide range of equipment for various industries, such as agriculture, transportation, construction, oil & gas, mining, and so on. The used motor market has a bigger demographic than that of a new motor. Avoid Initial Depreciation: Last and not the least important benefit – you can avoid depreciation. If you buy a new motor, its value starts depreciating the moment you start using it. New motors have a depreciation rate of 20 to 40 percent in the first 12 months. This is not the case with a used motor. When you buy a used motor, you are actually avoiding the initial depreciation of its value. There is a wide range of used motors available on the market, from which you can choose from. Buying a used motor is indeed a very time saving and economical option. 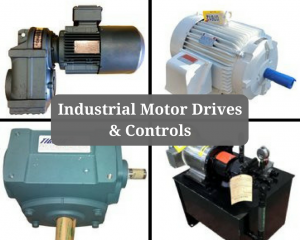 J&M Industrial is one such leading providers of used and unused motors at affordable prices. You can get in touch with the professionals at the company to get more information on the used equipment they provide.